I have a confession to make!! I love gift sets, not only because there are so many goodies in one package, but because you get to test out so many products!! These are some of my favorite gift sets to give and to receive, perfect for the make-up lover or product hoarder in your life!! 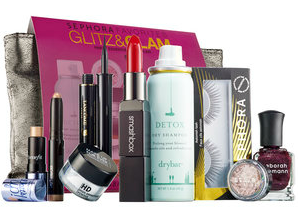 This little beauty has a large haul of Sephora’s best selling products in perfectly sized samples!! It’s a little bigger than a sample size and get’s you enough product to really test out if you like it! Getting this set for Christmas and being to turn around and really get dolled up for New Years Eve would be perfect! It even has a metallic clutch that can double as your purse for your night out!! My favorite product is the fake lashes to really glam up your look! If you’re anything like me then you love lipsticks and glosses – so this is the perfect gift set for the lip lover!!! I have the Bite Beauty Lip Crayon and the color is gorgeous!! 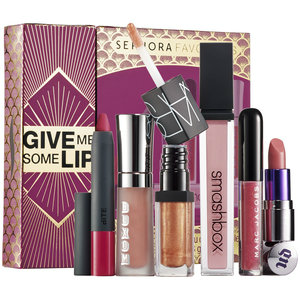 My other favorite from this set is the Urban Decay lipstick – it’s my everyday lip color! If you’re anything like me then your hands get super dry in the winter – these are some of the best hand creams out there!! They are full size so you’re basically getting one for free! Another option with this gift set is opening it up and gifting as a stocking stuffer for the ladies in your life! One of my favorite things to have on hand in every purse, gym bag or make-up case is a travel size mascara. 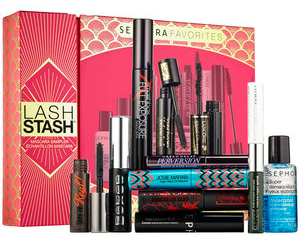 You can never have too mascaras right?! I really love all of these in the set, but They’re Real and Lancome’s Hypnose are my favorites. Another great piece in this set is the eye make-up remover that comes with it, it’s not oily and doesn’t leave a residue behind which I love! I’m a huge fan of Josie Maran’s argan oils and this set is one I purchased for my mom last year and she’s already requested another one for this year!! It has her best selling products in here including the daily moisturizer which has an SPF of 47 and doesn’t leave your skin feeling greasy!! So there you have it – a few of my favorite gift sets!! 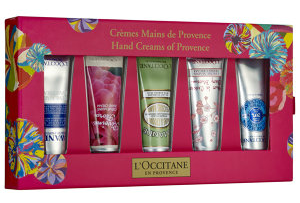 Are you a fan of gift sets? Which is your favorite?